Askr Trio 5* full SI complete! Gah I failed. So excited to get DB4 on a main unit, I inherited and didn't think about Galeforce at the same time. Damn. Im not sad about that part Im sad about B Celica she was cool.Just use 20000 feathers and get your peace. $0 spent. 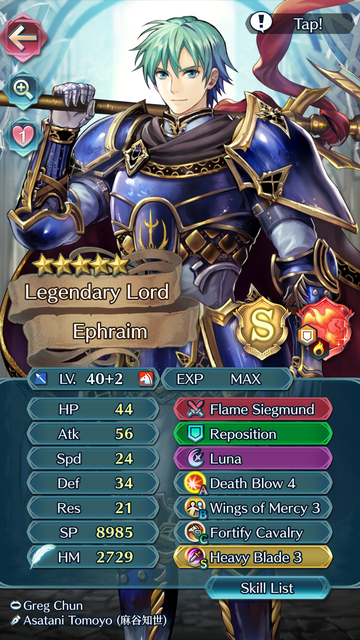 I now have +2 Sigurd/+2 Ephraim. Good stuff! It's cool. This is one of best f2p games I've come across so far. Bound Hero Battle Infernal complete! I think I am getting better at this game! Evan and tautet like this.